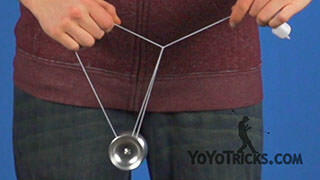 Learn three binds for freehand yoyoing. The first one is the opposite hand catch. 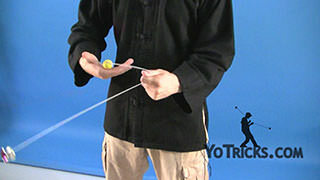 The second is the switch hand bind. 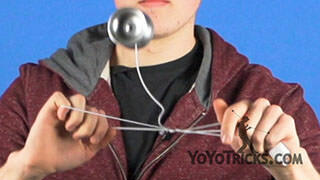 And the third is the pull down bind, which looks like this. 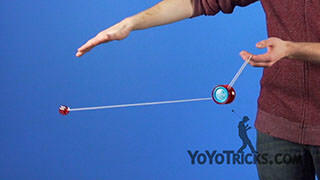 Starting with the opposite hand catch, first we are going to throw a breakaway with our throwhand. Then we are going to go into an undermount. 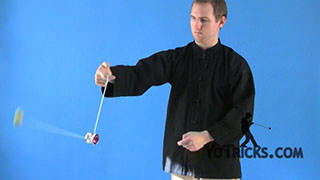 Then we are going to take the counterweight and put it into our opposite hand palm. 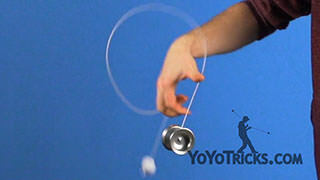 From here we are going to swing the yoyo over to our throwhand side. 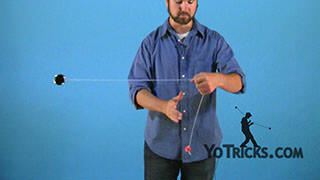 Then we are going to let go of this loop and pull back slightly with our opposite hand. 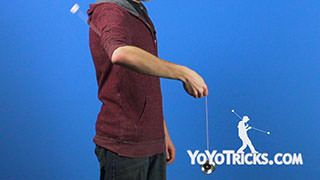 Then to catch the yoyo, we want to make sure that our palm is facing forward so that the yoyo will land in our hand in the correct orientation. 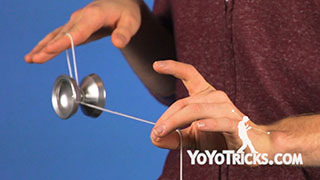 When you are doing this trick, you might have some trouble getting the yoyo to bind, especially because you are doing this with your opposite hand, which is probably your weak hand. 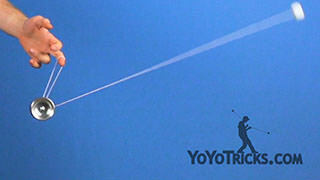 So you are just going to want to experiment with how hard you pull back, and the timing of when you let go of the loop. 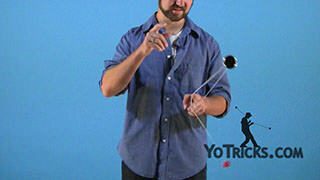 The second one is the switch hand bind, which starts just the same way as the opposite hand bind. 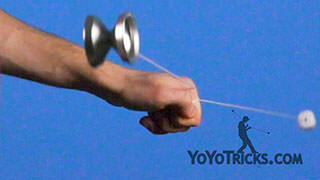 So, counterweight in your palm, and then you are going to swing the yoyo to your throwhand side again. 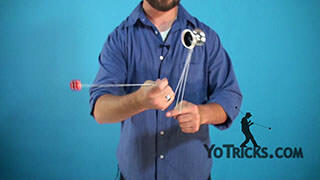 You are going to let go of the loop while the counterweight is still in your opposite hand. 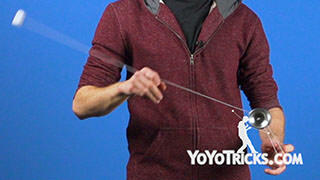 Right after you let go of that loop, you are going to bring the counterweight into your throwhand. It might look like I am letting go of the loop and switching the counterweight at exactly the same time. There is actually about a quarter second delay there. Depending on how sensitive your response system is, you are going to want to play with the timing of when you let go of the loop and when you transfer the counterweight, so that you can get the bind to work every time. 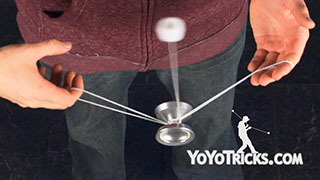 This trick also has some cool body variations, so you can transfer the counterweight underneath your leg. You can also do this under your throwhand leg. 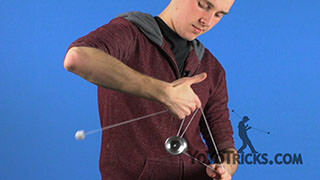 You can also do this trick behind your back, by transferring the counterweight right when the strings are parallel to the ground on your throwhand side. 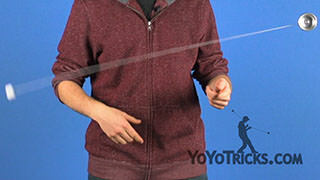 The third bind is the pull down bind. 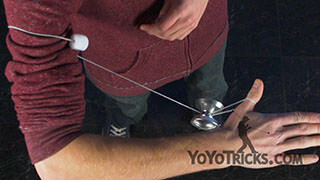 To start this trick, first we are going to throw a breakaway and go into an undermount. 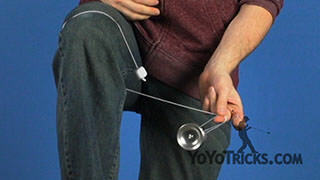 We want to make sure that the loop is to the back of the yoyo and that the string leading to the counterweight is to the front. 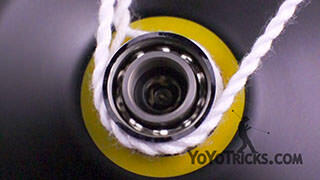 We are going to take our throwhand and bring it over the yoyo to the back, which is going to give an extra kink around the bearing. From here, you are going to let go of the counterweight. 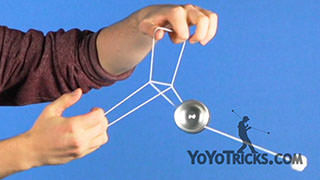 Make a small circular motion with your opposite hand, so that you can swing the yoyo and the counterweight around. 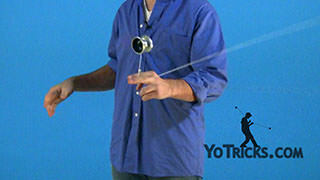 To stall the yoyo, we are going to bring our opposite hand down as the yoyo is coming over. 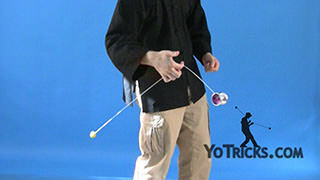 Then we are going to pull our opposite hand straight up. Let go of the loop and right after we let go, we want to catch the counterweight with the throwhand and pull straight down. 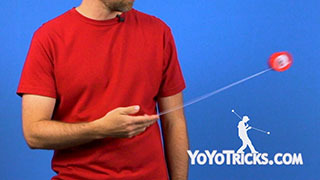 When you are first learning this trick, you are going to want to experiment with different lengths of the loop on your opposite hand so that you can find the best proportion for your setup. 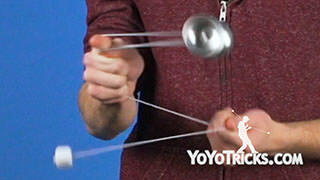 And those are three of my favorite 5A binds.